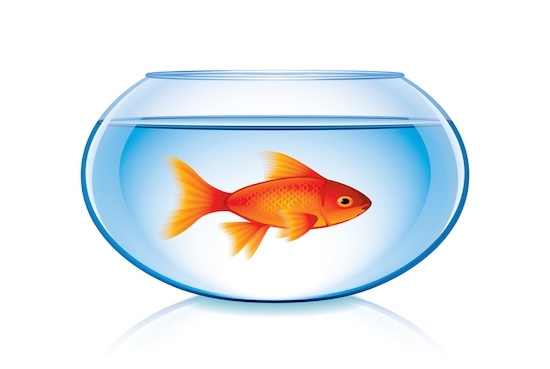 The average human attention span is down to 8 seconds - less than that of a goldfish. So what can you do about it? A goldfish can retain their attention for 9 seconds, which is one second longer than the average human, as of 2013. That’s the somewhat shocking – yet unsurprising - conclusion of research conducted by Microsoft in Canada in 2013. They found that the average human attention span had fallen from 12 seconds in 2000. The causes are clear. The report cites the fact that one half of Canadians surveyed will automatically reach for their phone when there is nothing else to occupy their attention. It also found that 57% of Canadians prefer to receive their news through bite-sized social media rather than through longer articles. The sheer choice in terms of media inputs that are now available at our fingertips create an insatiable desire for new information and entertainment. If a youtube clip isn't grabbing in the first 5 seconds, why wait when to see if it improves if there is another one just a click away? The adverse consequences for our minds of incessant smartphone use and Web-addicition is something we need to start considering. A stunning piece of academic research out last year found that many people would rather give themselves a small electric shock than sit in a chair with nothing to occupy their minds for 15 minutes. So, what is the antidote? These include having days off from Internet use and not charging your phone next to your bed so at least you have some time at the start and end of the day when you're not online. But these are mostly preventive measures. The cure is meditation and mindfulness. Mindfulness is the art of conscious awareness. To focus one’s attention solely on what we are doing at that particular time is to create a sense of freedom for oneself. Freedom from the incessant chatter of our sub-conscious minds, which are often focused on threats perceived in what people said to us, or indeed what they didn’t say. But achieving the ability to focus one’s attention on the present moment requires cultivation. Just like building one’s physique requires time in the gym, training the mind is required is as well. As Steve Jobs is quoted as saying “If you just sit and observe, you will see how restless your mind is. If you try to calm it, it only makes things worse, but over time it does calm, and when it does, there's room to hear more subtle things — that's when your intuition starts to blossom and you start to see things more clearly and be in the present more. Your mind just slows down, and you see a tremendous expanse in the moment. You see so much more than you could see before. It's a discipline; you have to practice it." Here’s the nub – the way we live our lives, and the environments in which we live, not only affect the way our minds work but they affect the physical nature of our brains. This is the concept of brain plasticity. So the more we become addicted to our smartphones the more the synapses and connections in our brains will change to render it more and more difficult to retain our attention for longer than a goldfish. However, meditation can influence brain plasticity in the other direction. There is some emerging evidence - which needs to be proven more comprehensively – that regular meditation increases cortical thickness. That is the thickness of different layers in the cerebral cortex. So, quite important then. This doesn't prove that meditation can improve your ability to focus but the suggestion that it can alter the physical structure of the brain itself is staggering and speaks to the value of pursuits that drive brain plasticity in a positive way. By the way, greater cortical thickness is associated with improved cognitive abilities. Basides which, there is direct evidence - which again needs to be substantiated through further research – that that regular meditation does improve attention spans. For example, this study (see here), published in 2007, showed not only that meditators had enhanced attention compared with non-meditators but also that long-term meditators perform better than short-term ones. If modern life is eroding our ability to pay attention, can meditation piece it back together?